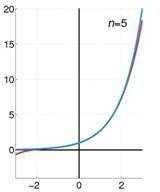 This paper presents the prove of Taylor expansion in one variable by the concept of binomial theorem, Taylor series concepts in curves and an expository piece on the asymptote of an algebraic curves as an example of this expansion. In mathematics, Taylor series is a representation of a function as an infinite sum of terms that are calculated from the values of the function's derivatives at a single point. This paper shows a derivation of this series by analyzing the basic concepts of a polynomial equation. The concept of a Taylor series was discovered by the Scottish mathematician James Gregory and formally introduced by the English mathematician Brook Taylor in 1715. If the Taylor series is centered at zero, then that series is also called Maclaurin series, named after the Scottish mathematician Colin Maclaurin, who made an extensive use of this special case of Taylor series in the 18th century. 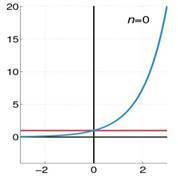 It is common practice to approximate a function by using a finite number of terms of its Taylor series. It gives quantitative estimates on the error in this approximation . 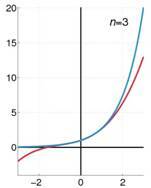 Any finite number of initial terms of the Taylor series of a function is called a Taylor polynomial. 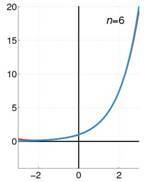 The Taylor series of a function is the limit of that function's Taylor polynomials, provided that the limit exists. 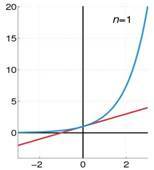 A function that is equal to its Taylor series in an open interval is known as an analytic function in that interval. Let, first define an algebraic expression of the form where “n” is a non-negative integer and the coefficients are all the real constants. i.e. From this above expression, the polynomial equations always differ by the higher degree term. Because if then, it will be linear, quadratic, cubic, bi-quadratic and so on, respectively. Again we have to defined this equation into simplest form in which it doesn’t violent any degree of equations. 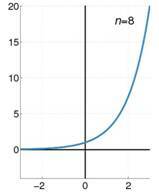 Let, a0=1 for our simplicity because if we take large number then, it produces the curve larger in size but the nature of the curve be the same. i.e. , is a required proof of Taylor theorem in one variable. Tautology statement holds also in transcendental function if we can make it into the nature of polynomial equations. Remember, this theorem is only applied to explicit function. If we take first two terms then, from initial view; we know that n= 1 and there we see the tangent line at point “a” and the tangent line approximation of f(x) for “x” near “a” is called the first degree Taylor polynomial of f(x) i.e. Here, rest curve indicates the actual function and the changing curve indicates the Taylor approximation function. 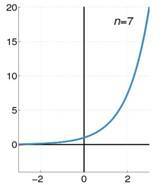 Figure 2: Illustration of the exponential function. Let, a curve be , which is an implicit function. Here, are the binomial coefficients of respectively. , is the general equation of this function. Applying these conditions in eqn(1) to be an asymptote to the curve. 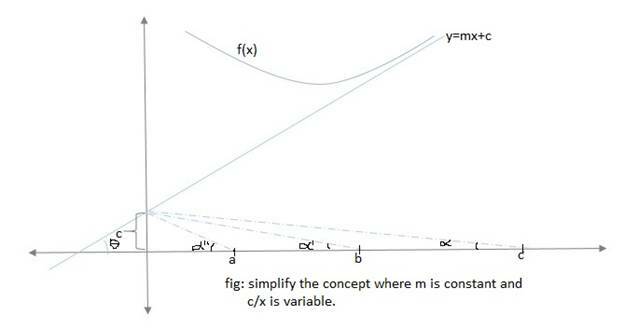 , remember that “m” is constant and is variable because for a line there is only one slope. i.e. Taylor theorem is an approximate a function by using a finite number of terms of its Taylor series. So, the coefficients of two higher degree terms i.e. of xn and xn-1 must equal to zero. to be a required asymptote. 2. Coefficients of xn, xn-1, xn-2,… to be a slanted asymptote. where, r= order of differentiation with always degree 1 and “k” can be found by “n-k”= degree of terms. There are lots of applications of Taylor theorem to un-crack the mysteries behind the equations. Viz. Approximations using the first few terms of a Taylor series can make unsolvable problems possible for a restricted domain; this approach is often used in physics. Algebraic operations can be done readily on the power series representation; for instance, Euler’s formula follows from Taylor series expansions for trigonometric and exponential functions. This result is of fundamental importance in such fields as harmonic analysis. Our calculator doesn’t remember all those number flashed in your display for say, sin (0.2) but it does works on the basis of this theorem because it remembers a polynomial approximation for sin(x) and also, this requires much less memory storage space in our calculator. Singh,M.B., Bajracharya, B.C., Differential Calculus, Sukunda Pustak Bhawan, 2070, pp. 129-131.